If you like cinnamon and sugar you’ll like these. Think of this as very light French toast in a bag. The wheat based churros are crisp, airy and light, fried into a spiral shape about 2 inches long and 3/4 inches around. Crunchy, sweet and not overly spiced with cinnamon, it’s hard to put these down. And that’s the only problem, it’s so easy to eat the whole bag (3 servings per bag) at once. That would put you back 360 calories for the day and still wanting more. This entry was posted on 04/30/2017 at 12:15 and is filed under ALDI, food, Recipes, food, cooking and related items. You can follow any responses to this entry through the RSS 2.0 feed. You can leave a response, or trackback from your own site. I love this snack! Really wish they would sell them more often. I shop at ALDI in miami Florida all the time. 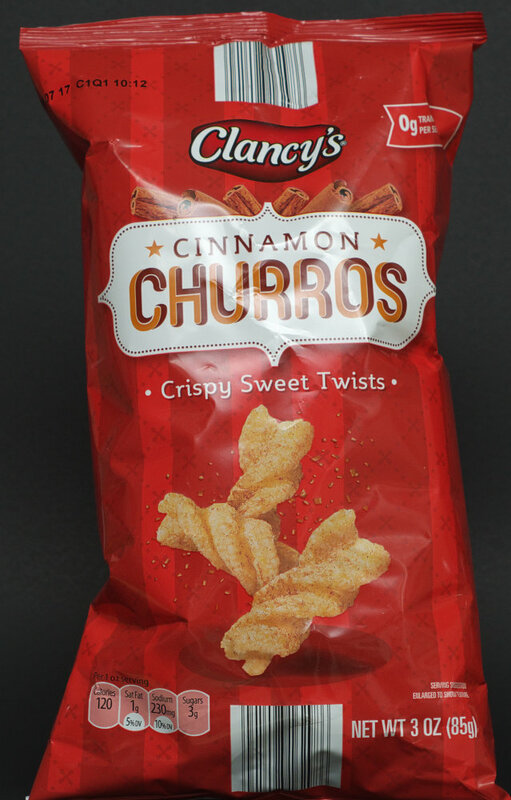 We would like to know how to buy more Clancys cinnamon churros? I shop at Aldis in Owasso, OK. and have only seen them once and would like to by a case or two, please! Here’s the ALDI customer contact URL. They’re usually pretty good at responding quickly. My guess is, it may be a seasonal item? I am just a customer and have no relationship with ALDI.